Starting Nov. 12, MSNBC "Morning Joe" co-host Willie Geist will co-host the 9 a.m. ET hour of the "Today" show. 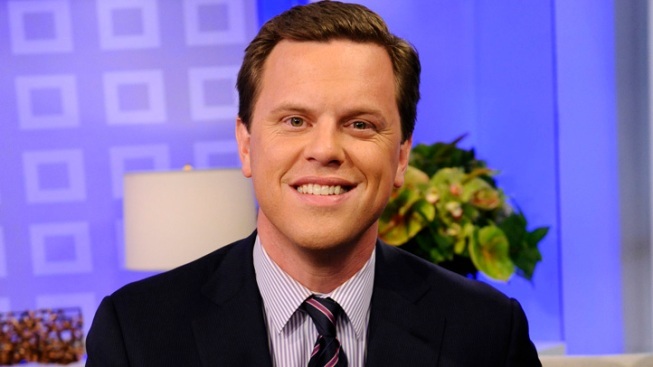 Willie Geist, co-host of MSNBC's political show "Morning Joe," is joining the "Today" show as co-host of its third hour. "I'm thrilled. I'm thrilled. I'm humbled," he told hosts Savannah Guthrie and Matt Lauer on air Wednesday, fondly citing 60 years of the NBC morning show's history. "To be some small part of that… it's completely humbling," he said. Geist has regularly filled in for Matt Lauer since 2010, but now he'll join Natalie Morales and Al Roker on the show's 9 a.m. ET hour beginning Nov. 12. His appointment is effectively a delayed replacement of Guthrie, who hosted that hour until she was named the show's co-host with Lauer earlier this year. Geist is giving up his stint hosting MSNBC's 5:30 a.m. ET newscast "Way Too Early," which he conceived three years ago, to move over to "Today." A new host, still yet to be determined, will take over "Way Too Early." He still will co-host, however, the 6 a.m. hour of "Morning Joe" as he has since 2007.